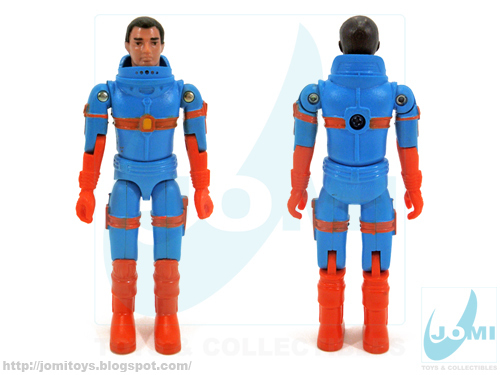 Darman was my very first Madelman 2050 figure back in the 80s. 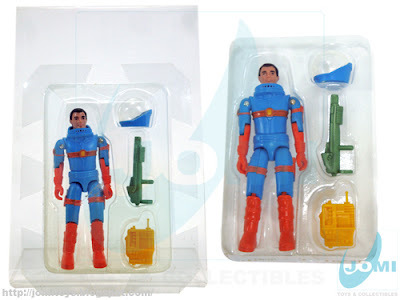 His retro look and my soft spot for pilot figures are reasons that still make Darman to this day, my actual favorite C.O.T.A. man. 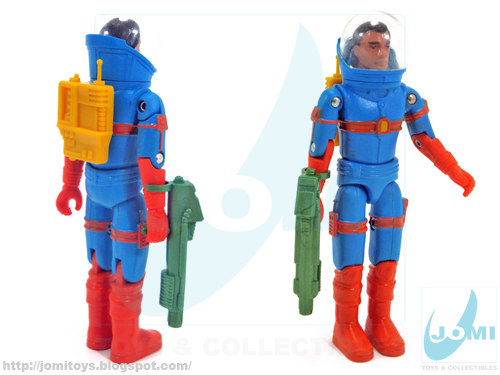 That bubble helmet, the color scheme and plastic texture, plus his outstanding weapon are enough reasons to justify my admiration for Exin´s work with Darman. The bubble which protected the Madelman2050 carded figures were a look into the future. Over 25 years later, this is pretty much how all action figures are packed. 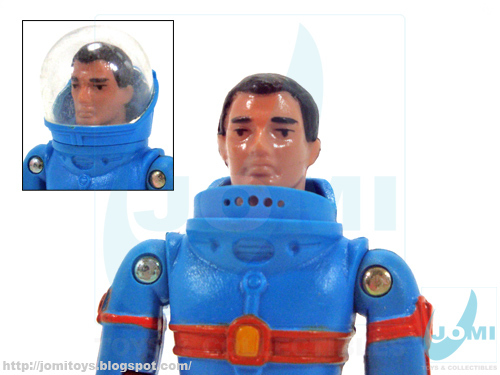 Figure: "Darman". Mechanic and NAVESCAM space factory test pilot. Absolutely stunning and sturdy construction. No wonder they were so expensive. Usually 2 or 3 times the cost of any given ARAH G.I.Joe figure. 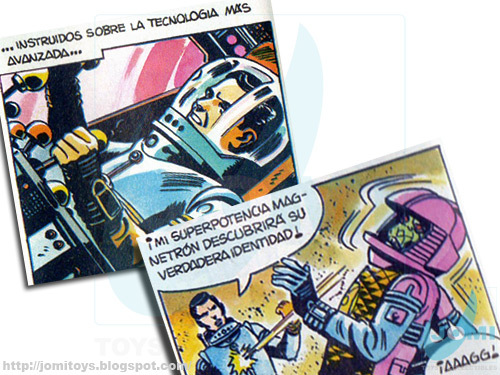 As seen in their first issue, Darman was actually the first "earthling" to use its Magnetron power to reveal Lagard´s true identity. Also, I found the writing for the top image nostalgic and interesting enough to share. Roughly translated: Instructed over the most advanced technology. We all know how the future brough voice command, and touchscreens, but watching those Flash Gordon rocket sort of command handles is always nice! These just get better and better! I so want some of these now more than ever. I know how that feels! I´m looking on a deal with a local tv station to get some M2050 commercials, but on top of the huge costs, the rights will probably bring this to a halt, but I´d love to show the commercials. 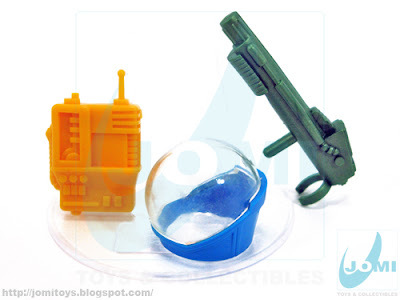 They were sooooo cool. They don't make em' like this anymore Jomi!